The content of this short book is compiled from an informal and unplanned debate that took place on five Usenet newsgroups. The debate was reflected on the World Wide Web through Google Groups and other Web services reporting Usenet discussion. 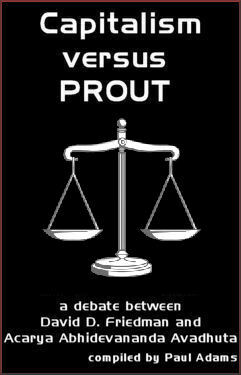 The discussion reproduced in this book took place under the threads Propertarian Anarchism versus PROUT and The Age of “Enlightenment”.